So cute and tempting banana appams..
looks yummy n want to grab some! 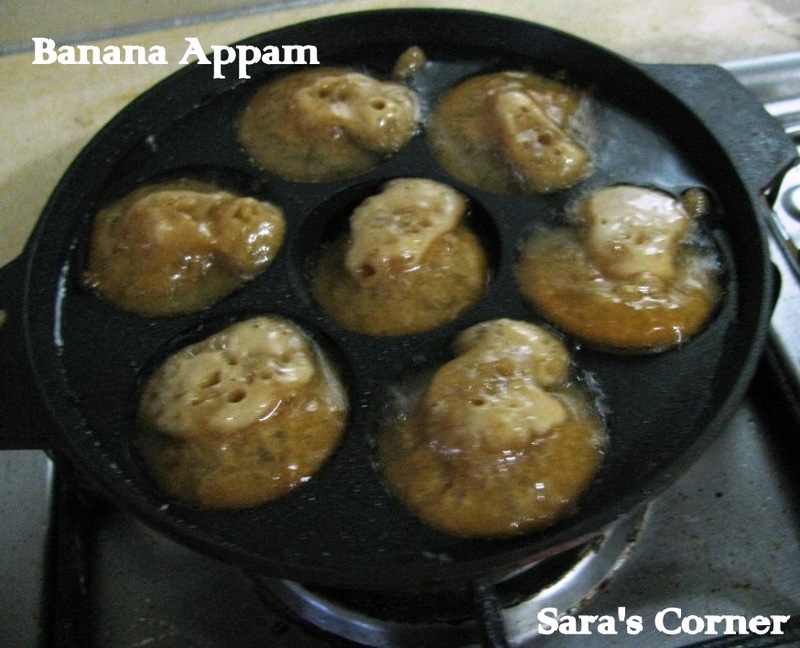 Very cute little appams.. Love the banana flavour! 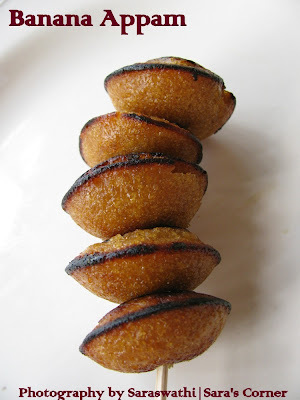 These look wonderful and tasty.I have tried savory version but not sweet will definately book mark and try this sweet version. Thank you friends for your lovel comments. 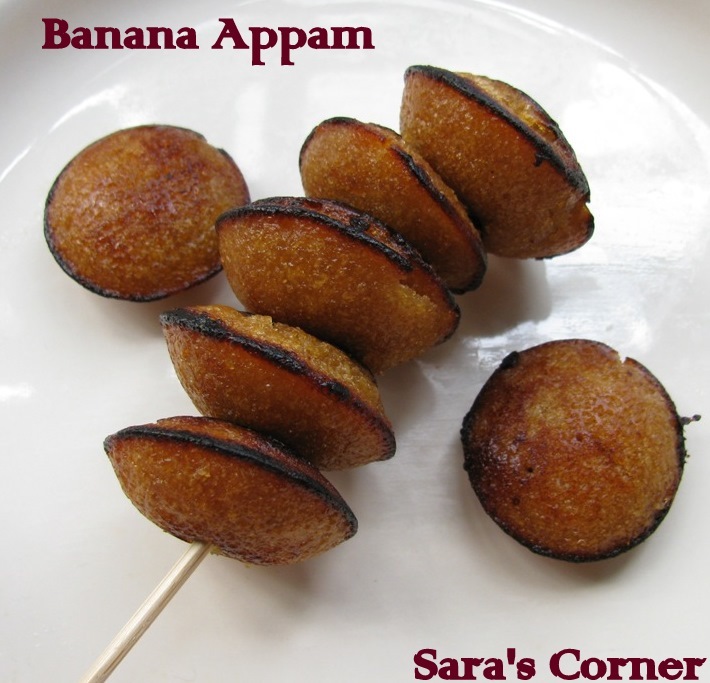 Hi, You have a very nice space...loved this recipe.Will try soon.